Pardon my french, but how the hell is this Dolphin not the top search result? (03-07-2015, 09:20 AM)JMC47 Wrote: Loooooooooooong story. Shouldn't simple SEO have already done that anyways, or is there some background stuff blocking that? How is that still the top result in any way? Is that place still getting traffic over this site? Can't you have that delisted from search engines or at least give this site priority if you contact the providers and provide proof of ownership on the site and project? (03-07-2015, 12:16 PM)KHg8m3r Wrote: It was privately owned by someone that used to be a part of the Dolphin team, but then dropped off the face of the Internet and no longer responded to anyone. I'm not sure mamario was even part of the "team". He did provide hosting for the old site and Dolphin builds though. 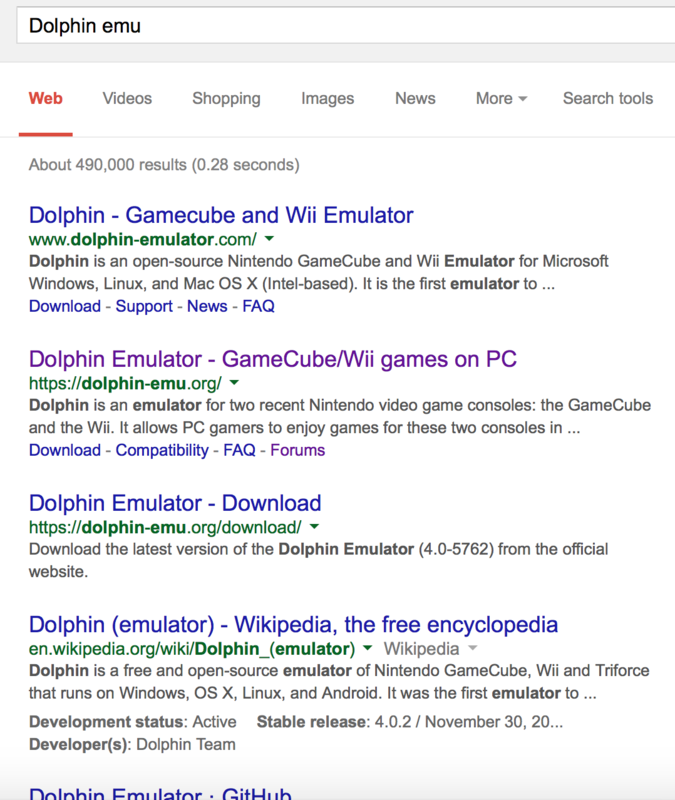 FWIW, searching "dolphin emulator" instead of "dolphin emu" gives me the correct website as the 1st hit. And yes, this was done on a clean session of a browser (no cookies, no tracking, nada) so it's not just looking at my past preferences. It may be the same for others. Though why it's not the same for both search terms is still the issue. My understanding was that he really wasn't exactly close with the devs though. The website was something he just started on his own and grew out from there. That history is before my time, so I admit all of what I know is second-hand info. All of the regulars that would know are kinda gone, so only the devs can clarify what mamario really was to them and to the Dolphin project. He didn't talk to the devs. That's why the devs moved to a new site!